Sanya became one of the hottest tourist destinations on this year’s Valentine’s Day, according to Qunar.com, a major online travel agency in China. Data from Qunar.com show that airline tickets were mainly booked among tourist cities during the Valentine’s Day, such as Sanya, Xiamen, Kunming, Chengdu, Shanghai, Chongqing, Beijing, Haikou, and Guilin. The number of tourists who ordered resort hotels in Sanya from 10th to 14th February was up about 30%, according to Tuniu.com, another major online travel agency in China. 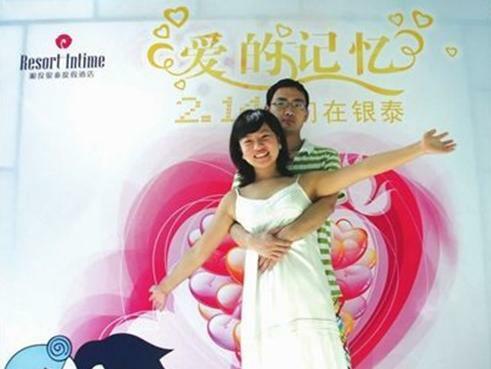 During Valentine’s Day, many travel agencies and hotels offered activities and tour routes for the lovebirds, among which the activity of “Sanya romantic tour” was sold out in an instant. Besides, Tianya Haijiao (the End of the Earth) was the priority scenic spot in Sanya among lovers on Valentine’s Day. “It’s kind of responsibility to love when speaking of Sanya’s Tianya Haijiao, so it’s very popular for the lovers,” said a principal from a travel agency in Sanya.